SPOKANE — The Red Deer Rebels could have used some help to snap their current Western Hockey League losing streak. They certainly didn’t need to help their opposition, which was the case Tuesday in a 4-3 overtime loss to the Spokane Chiefs before 4,162 fans at Veterans Memorial Arena. The visitors, after carrying the play through most the third period, were assessed a too-many-men bench penalty with 12 seconds left in regulation time and then surrendered a power play tally in overtime. As it turned out, the Rebels set up their own fate when Arshdeep Bains left the Rebels bench before Brandon Hagel reached the door. The Chiefs took advantage when star defenceman Ty Smith beat Rebels netminder Ethan Anders with a one-timer from the top of the right circle 30 seconds into extra time. “Bainsy wasn’t paying attention to Hages. 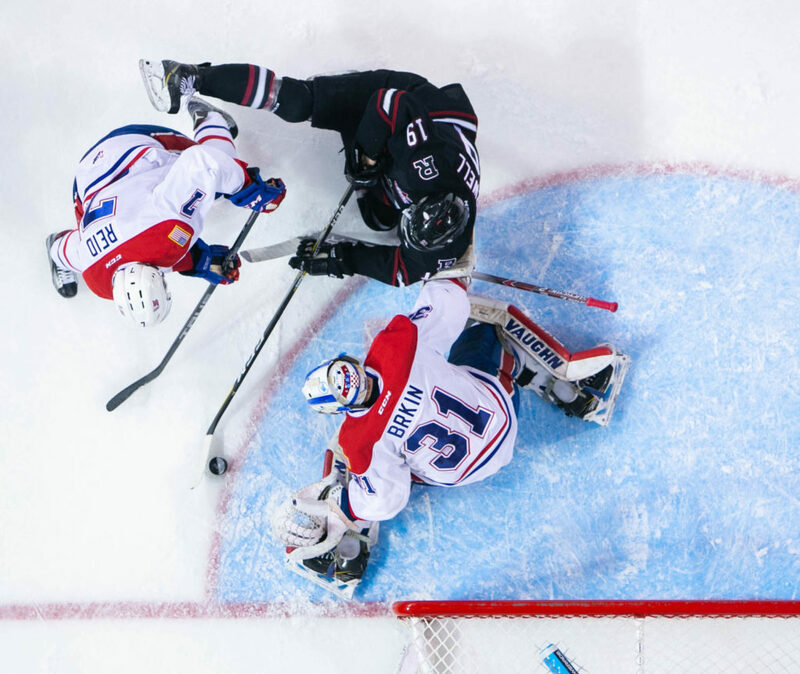 He thought Hages was on the bench and he just jumped on the ice,” said a perturbed Rebels GM/head coach Brent Sutter, whose club dropped its sixth game in succession. The unfortunate incident proved costly to the Rebels, who probably deserved a better fate after turning in an otherwise solid road performance. Bains staked the Rebels to an early lead with his sixth goal of the season a mere 1:59 into the contest before Jared Anderson-Dolan pulled the Chiefs even just over four minutes later. Hagel notched his 31st of the season on a redirection of a point shot by Dawson Barteaux at 7:17 of the second period, but Spokane answered again when Smith notched his first of two on the night on the power play, his drive from the left circle beating Anders high to the blocker side. Adam Beckman, on a deflection, gave the Chiefs their first lead of the night late in the middle frame, and Oleg Zatysev cashed a rebound to pull the Rebels even early in the third period. Anders turned aside 26 shots while Spokane netminder Bailey Birkin was credited with 29 saves. “It’s just a lousy way to lose a game,” said Sutter, whose crew was then faced with the prospect of taking an extra long route to Everett for a Wednesday evening match versus the Silvertips. Due to road conditions through the mountain passes, the Rebels were forced to drive to Portland and then back north, adding an extra four hours to their trip. As a result, the team wasn’t likely to arrive in Everett until close to 8 a.m.